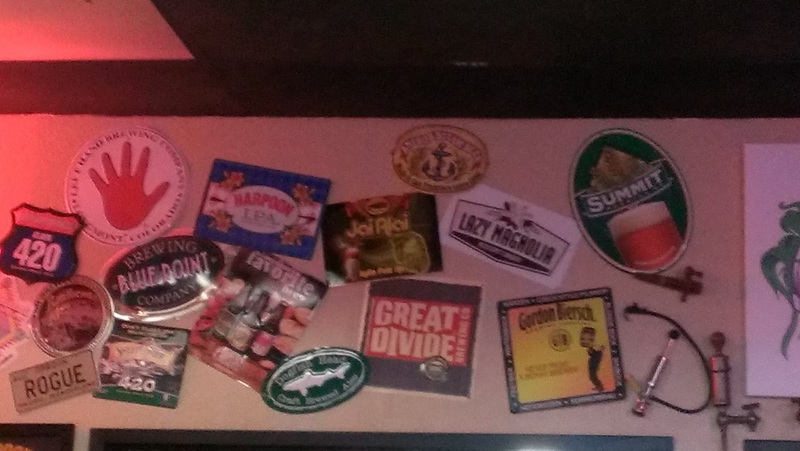 BrewNymph®: Founders Brewing Hits Florida! Sometimes you just gotta jump on the bandwagon. So, with the launching of Founders Brewing in Florida this week, of course, I had to get some of that! 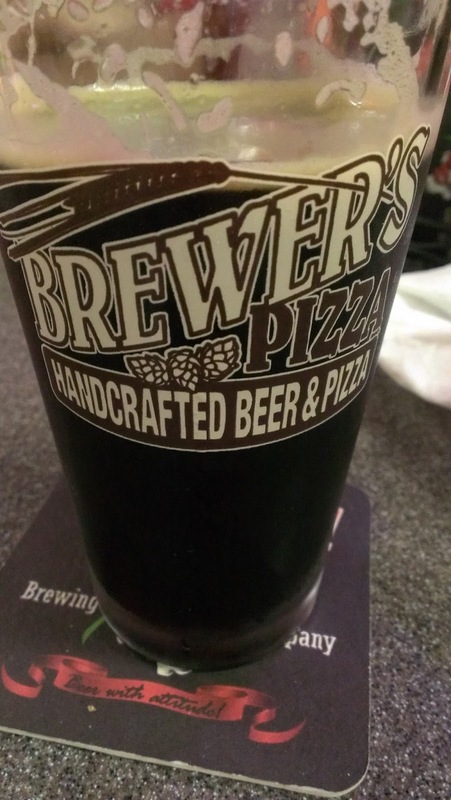 Well, I like pizza, too, so I headed over to Brewer's Pizza in Orange Park, FL (just outside of Jacksonville) for some pizza that I already know is awesome and for some Founders on tap! WooHoo, knocked it out of the park! I don't know whether to begin with the beer or the pizza, but I'll go with the beer. Now, I don't claim to know all the technical stuff (you beer snobs), but I do know a bit, and I know what tastes good. I can tell ya where the good beer, food and fun is. The Founders Pale Ale is brewed with Cascade hops and comes in at 5.4 ABV and 35 IBU. Drinkable. Citrus notes with a bit of floral. Yeah, it's good, it's pleasing, with just enough bite to let you know it's a real beer. Available year-round. I'll get this one again. At this point, time for a small salad. Tough to screw up lettuce and onion, but the Italian dressing kicked (and, the lettuce was crunchy). OK, more beer. Tried the All Day IPA, a sessionable IPA, available year-round. At 4.7 ABV and 42 IBU, it's definitely a "knock-back-a-few" beer. Silver Medal winner at GABF in 2010. If you're into super-hoppy IPAs, this isn't for you, but for us mainstream drinkers who like an IPA that we don't have to get dentures for, it's a good choice. The scent says IPA, the flavor says "drink me" and "enjoy it." Sold. ﻿So, let's talk food. 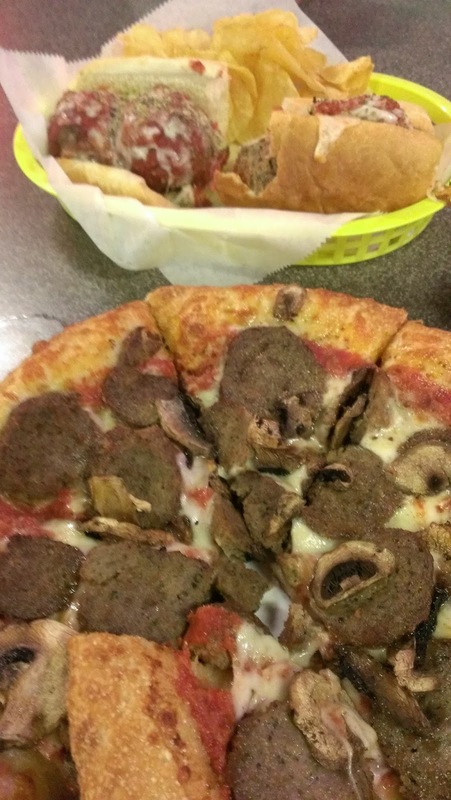 Brewer's Pizza has, well, pizza. Its signature pizza is the "Florida Smacker," an 8-in, square baby that comes out a little crunchy on the crust (intentionally). It's an amazing piece of pizza goodness. Good selection of topping choices. They also offer hand-tossed round pizzas, with a bunch of topping choices, sandwiches, soups and salads. Some of the best pizza in the area, according to this girl. It's a casual place, with a small bar area, but it has over 20 taps and about 43 bottles of craft available, including local Jax and Florida beers. Scan the code for a list of beers, also scrolling on the tv monitor. Home to Pinglehead Brewing, too, available on tap. Very friendly place, but you might have to wait a bit on the service. So, I saved the best for last. The Founders Porter. A definite work of happiness for your mouth and tastebuds. 6.5 ABV, 45 IBU. Classic dark and creamy. Now, I know what you're thinking, but I'm talking beer here. Chocolate and caramel, with a dark taste so smooth, I'm getting all sweaty thinking about it. No weird flavors, just a damn good beer. So, there ya have it. Founders, welcome to the Sunshine State. I can't wait to try more Founders beers, especially the Rubaeus raspberry (available July-Aug) and the Breakfast Stout (Oct-Dec). Looking forward to getting Founders in my fridge. 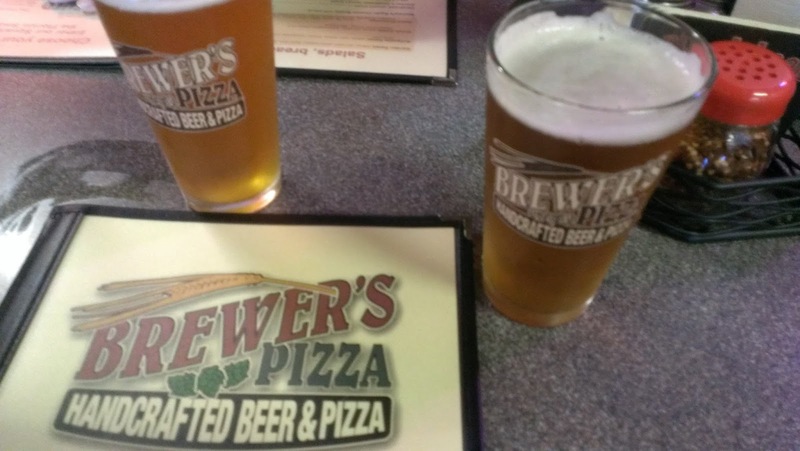 And, if you want your tastebuds to experience some tasty pizza and sandwiches along with a good variety of beers, check out Brewer's Pizza, 14B Blanding Blvd, Orange Park, FL. Til next time, Sweethearts! Will be comin at ya from South Florida and Key West, and who knows where in between! Cheers!